Maine gardens need more dead trees. Surprised? As gardeners we spend our time coddling plants, from the smallest snowdrop to the largest sugar maple. We buy them, carefully plant them, attentively water them and fertilize them to ensure they are healthy and attractive for many years. Sometimes we go out on frigid November days to band them so the winter moth won’t defoliate them. Why would we want them dead? In wildlife ecology, dead or dying trees are called snags, and Perkins says they should be left alone – as long as they don’t pose a danger. Many beneficial beetles and other insects make their homes there. “Those trees are living bird feeders” because of all the insects they contain, she said. A lot of larger animals also use holes or hollowed-out areas of these trees as shelter including bluebirds, owls, bats, snakes and – if the tree is large enough – black bears. The advice about leaving dead trees might not work for huge trees in the typical quarter-acre suburban lot, but gardeners with those conditions can still provide some help – simply by letting downed limbs rot in place. A third of all animal species depend on downed wood in some way, Perkins said. And trees aren’t the only only dead plants you should leave standing. Tall grasses and other perennials can serve as homes for mason bees, which pollinate native plants 10 times more efficiently than the non-native honeybees do, Perkins said. The native bumblebees are also excellent pollinators. In addition to leaving behind dead and dying plants as homes for wildlife, Perkins likes natural edges in gardens. In nature, sharp edges between forests and meadows never occur. In the wild, there will be a transition of blown-down branches, shrubs and other small plants – areas that wildlife loves. Such an edge can be messy, but it doesn’t have to be. Perkins isn’t a fanatic who says all plants should be native. She also likes her lawn, but she doesn’t want a huge one – not only because a lawn is usually a monoculture of non-native plants that don’t flower but also because mowing a typical lawn produces as much pollution as driving a car 600 miles. What she wants everyone to do, as a start, is to replace one non-native plant with a native one, she said in opening her talk. It will partly offset the acute loss of natural habitat in the nation. More than 70 percent of the forests that once existed in America are gone, she said, and that loss continues. Insects that consume plants make up 37 percent of the animals species on earth, and insect populations are decreasing by 2.5 percent a year. This is no small thing: insects are the species that support all of the other animals, whether birds or mammals. For those in the Portland area who want such a habitat garden and think it might be beyond their own gardening capabilities, Perkins has joined forces with Larkspur Design, led by Seana Cullinan, to create Wild By Design, which will develop such gardens from start to finish. 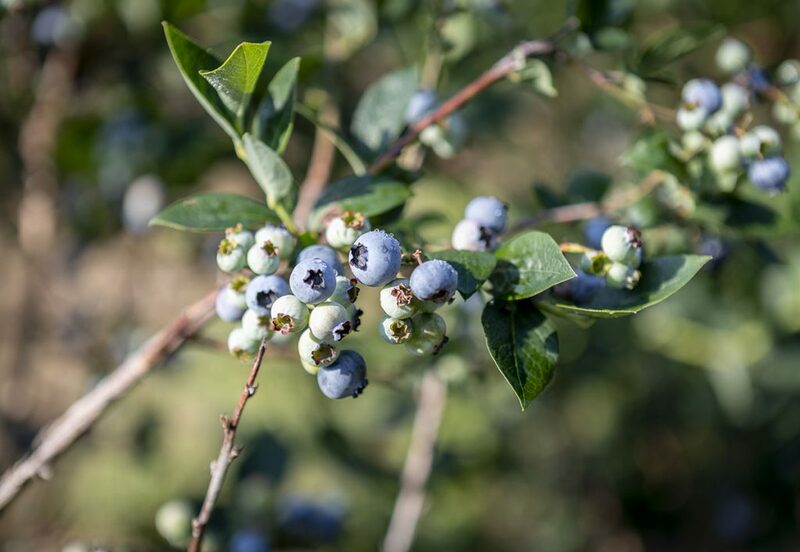 For those who want to do it on their own, Perkins offered a list of plants she especially recommends for pollinator gardens: anise hyssop, coriander, viburnums, summersweet, winterberry, chokeberry, blueberries, cranberries, alyssum, fava beans and borage. I’d suggest that every garden have all of them. Many of them are multitasking plants in that they have spring bloom and fall color and fruit, flowers or both. And that is what every gardener wants.